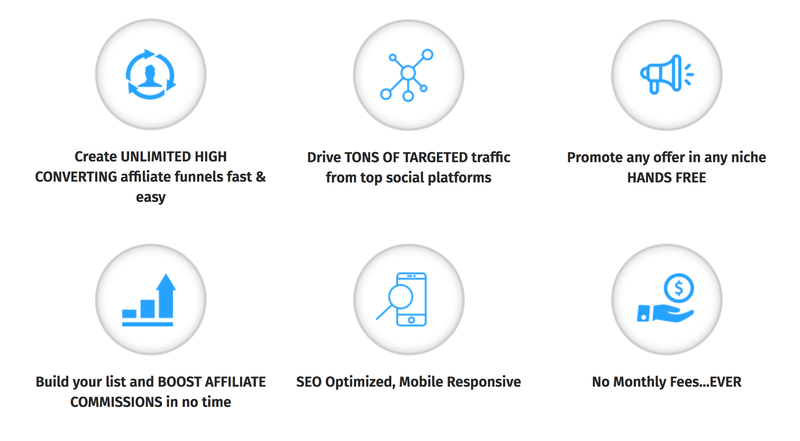 Are you sick & tired of wasting hours of your time setting up affiliate promos and paying a ton of money getting traffic on them, only to never see them get any sales or commissions? 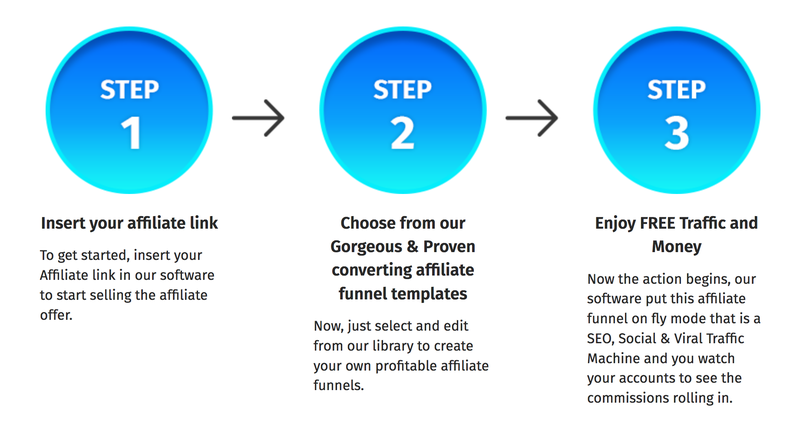 Use Our Platform for Stupid-Simple High Converting Affiliate Funnels…That Get Traffic, Grab Every Visitor's Email & Send Them to Your Affiliate Link with ZERO Technical Skills and ZERO Grunt Work on 100% Autopilot... Just Set Once & Forget! 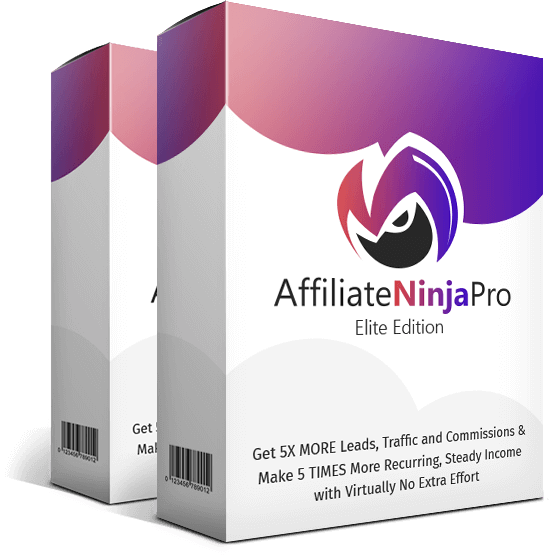 AffiliateNinjaPro: this software uses our latest technology to build you high converting affiliate funnels in 60 Seconds FLAT with TOP products that engages your visitors & boost the commissions. 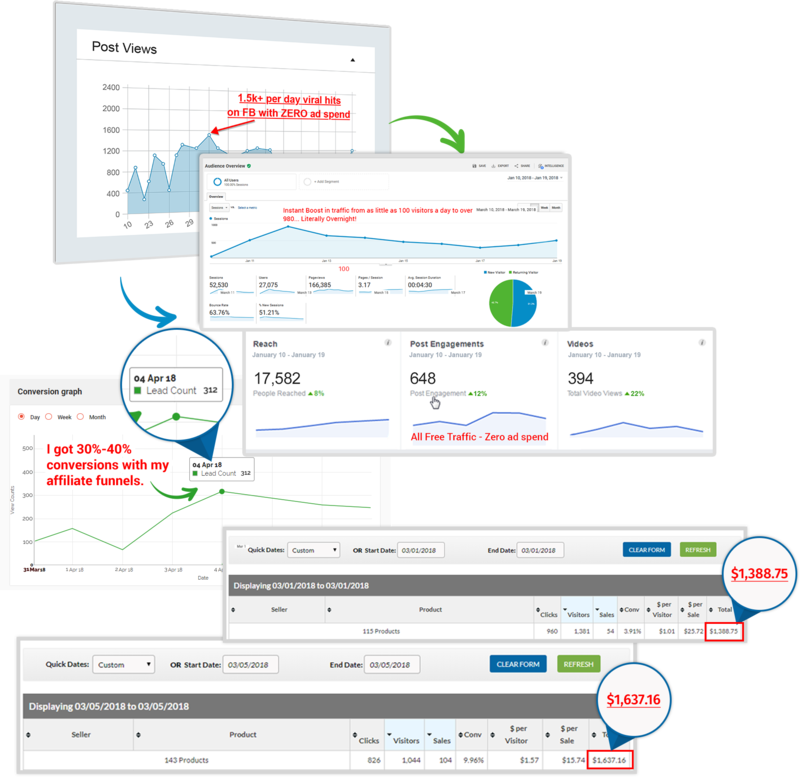 Even better our software drive thousands of visitors to your funnels using the power of viral social traffic & search engines combined– and it’s all done on autopilot! 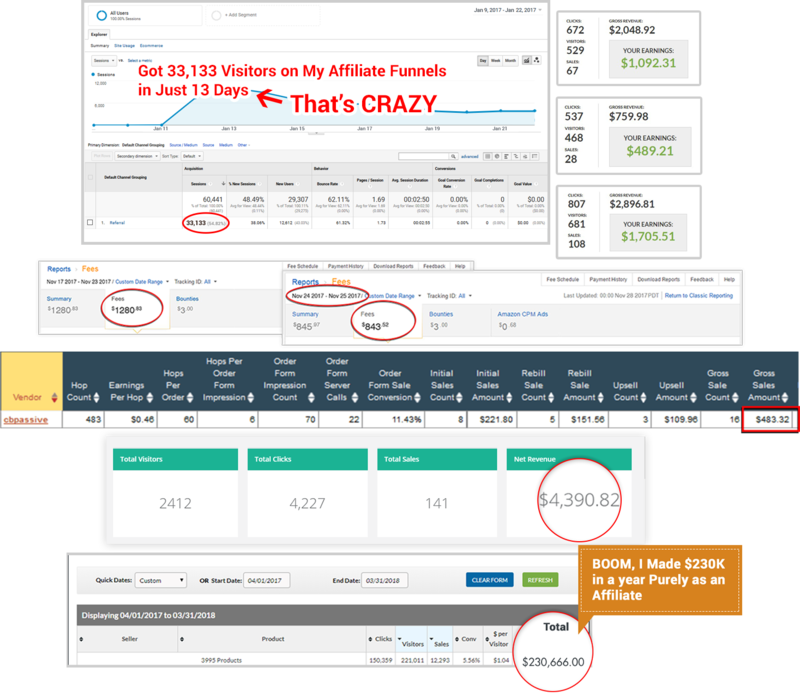 Let's checkout few more screenshots of my daily affiliate commissions and how I rocked charts of top launches to become top JVZOO Affiliate by using immense power of proven converting funnels. 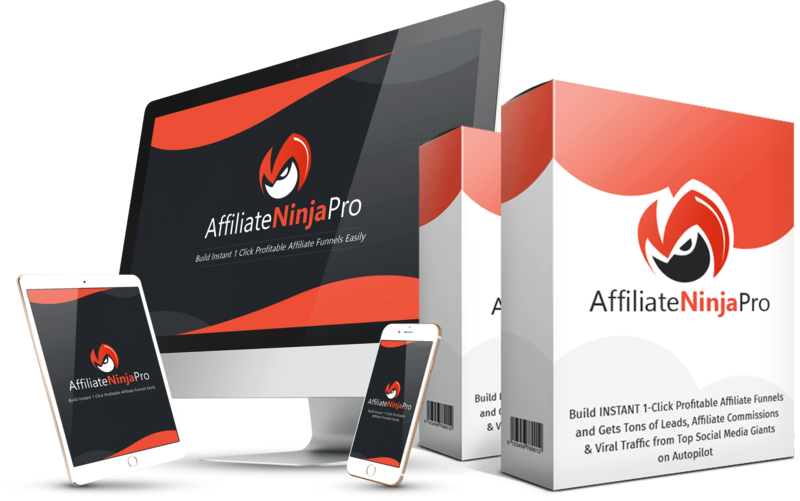 AffiliateNinjaPro is fully cloud-based software that means there is no need of a domain name, hosting or downloading anything. 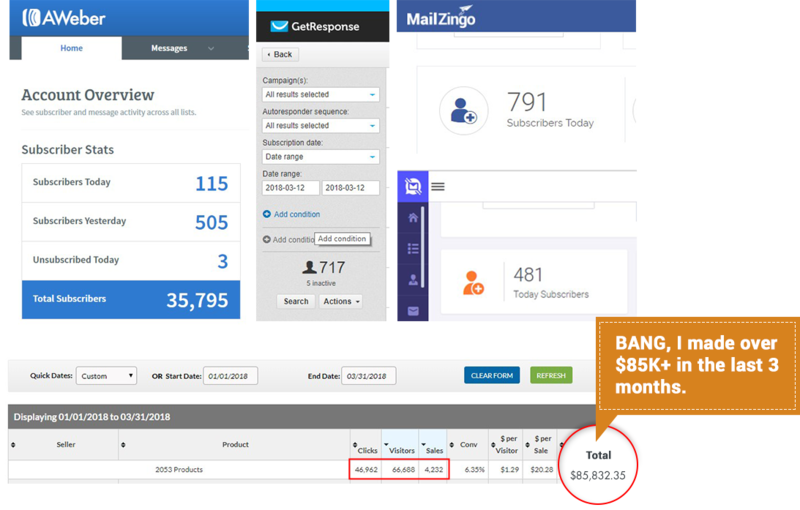 It creates profitable affiliate funnels at lightning speed ensuring they receive maximum viewership. 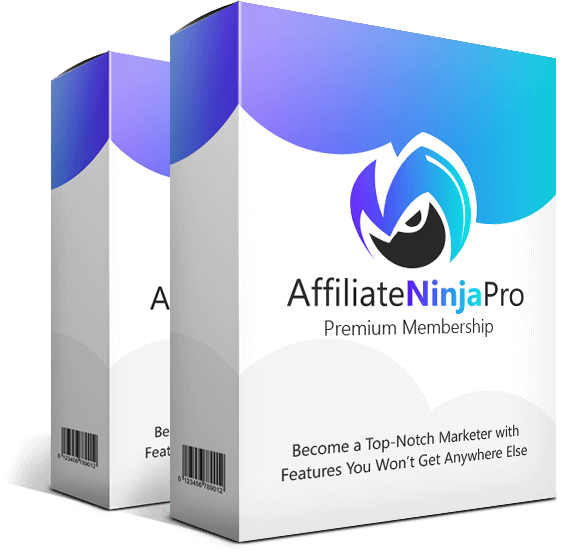 We've built AffiliateNinjaPro from the ground up to be marketer-friendly, meaning our funnels that you can build with just ONE click are tweaked to perfection to give you more of everything: more commissions, traffic and sales. It takes a lot of work and talent in planning the design requirements. 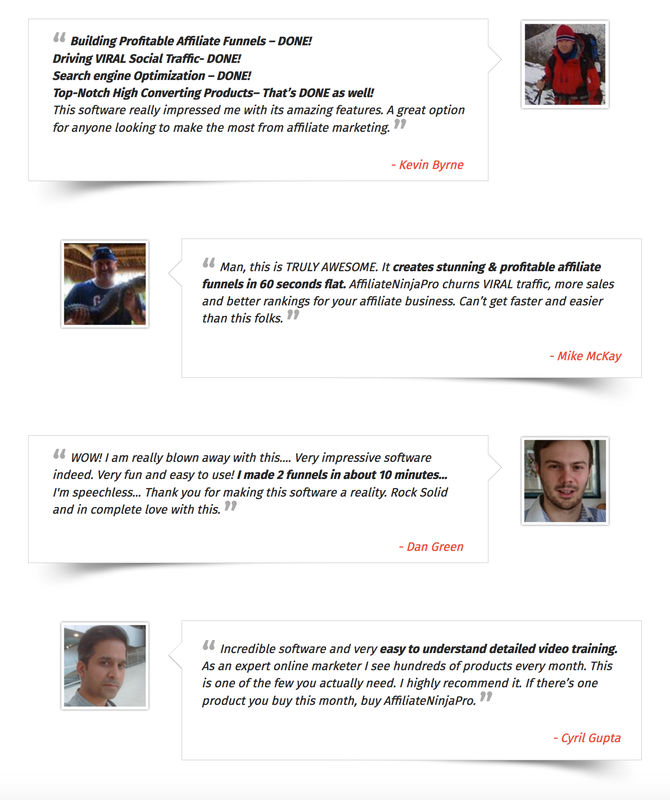 Our highly appealing and clean designs are custom built, with having an affiliate marketer’s requirements in mind. No matter what industry you’re in, our enticing templates offers your business a way to truly stand out and skyrocket conversions. No coding, no imaging what looks good and what works, we did all the hard work for you. You just choose a template, edit the call to action text and image to create a beautiful, crispy and effective squeeze page in seconds. Our highly skilled team spent hours creating every single template so you can get maximum conversions and leads for your offers. 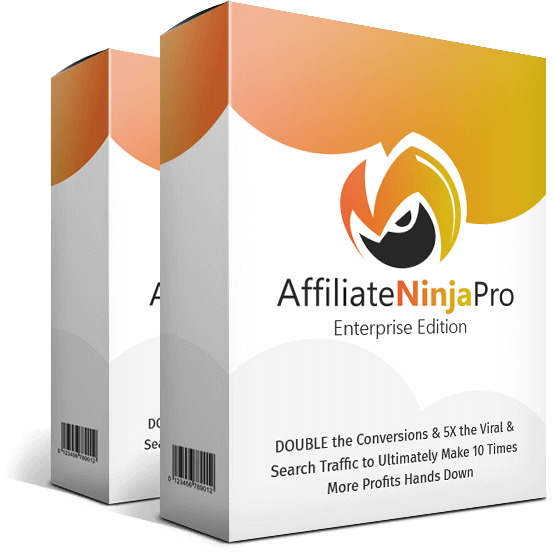 AffiliateNinjaPro automatically does all your social media work using our secret formula that GUARANTEES thousands of visitors hit your funnels in minutes. All you need to do is just press a button, and our software shares your offers on your behalf, and you get traffic without any technical hassles. Ultimately, you can grab more eye balls for your offers that would lead to a drastic increase in your visitors, and ultimately boost sales and profits hands down. 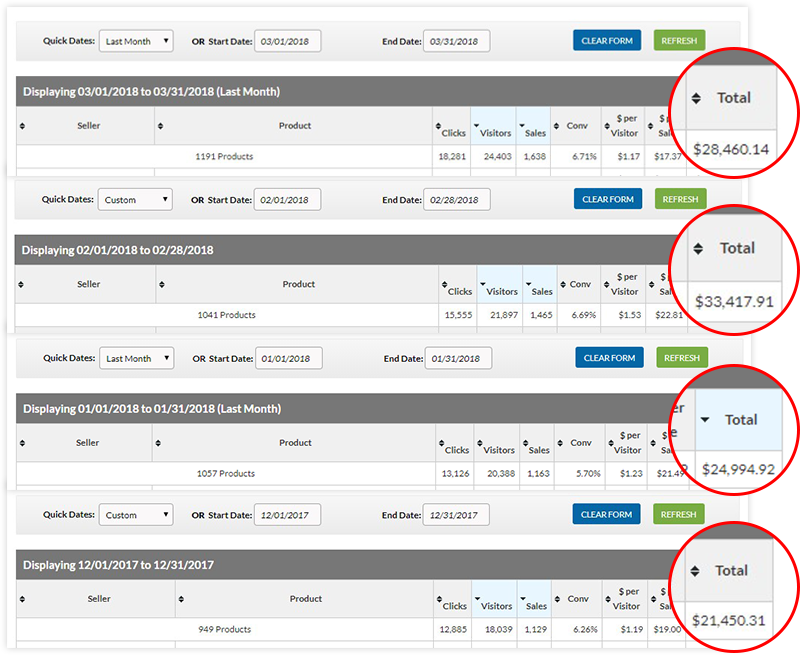 What if you could DOUBLE the Conversions & 5 times the Viral & Search Traffic to Ultimately Make 10 Times More Profits Hands Down! 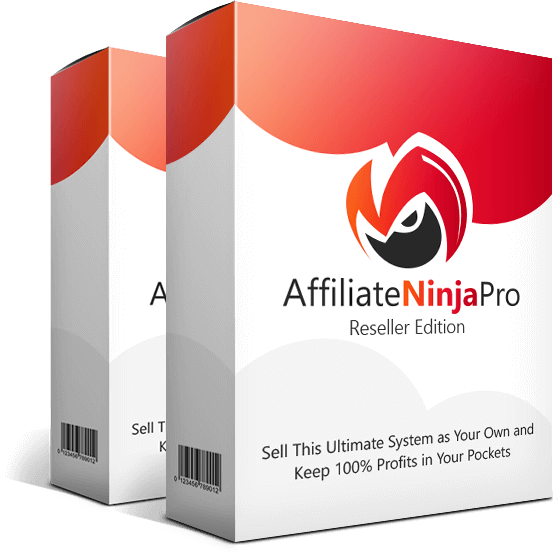 How Would You Like to Sell AffiliateNinjaPro To Anyone You Want And Keep 100% Of The Profits in Your Pocket?